Had to post these for anyone interested in factory Vari-tones. 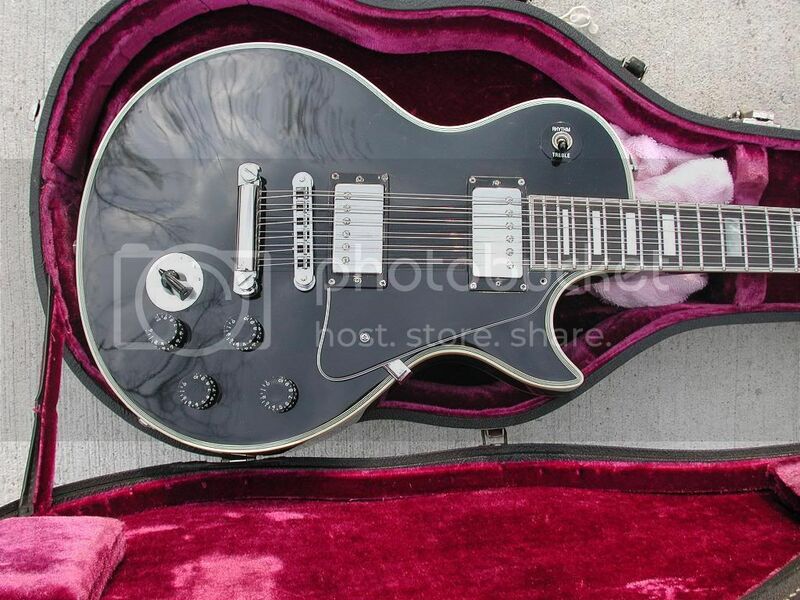 The 12 is the only one I've ever seen but I understand that another may have been spotted and I did see a truss rod cover on eBay a few months ago. I have not been able to find any more info on it and it. What's the extra cavity in the back of the 12 for? 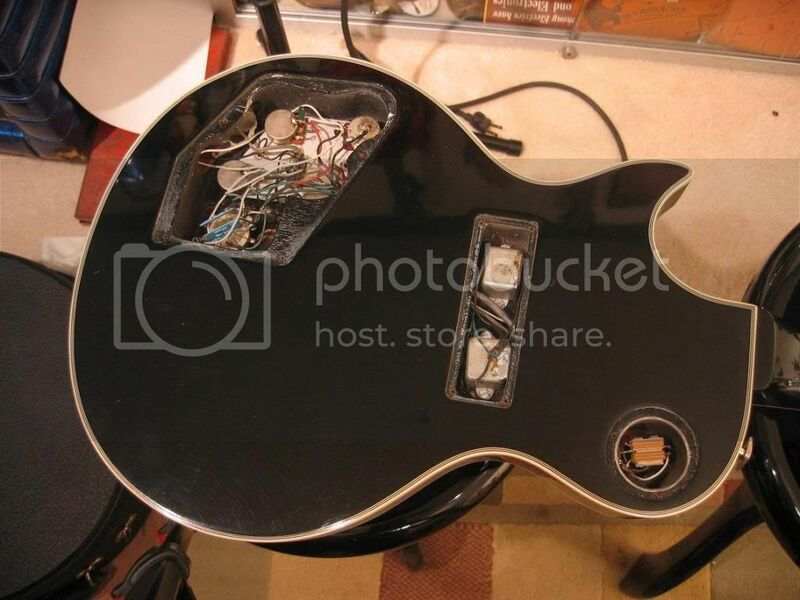 The extra cavity housed the Varitone electronics. See picture attached to post. wow! a 12 string custom!!! do they have regular 12 strings without the vari tone stuff? 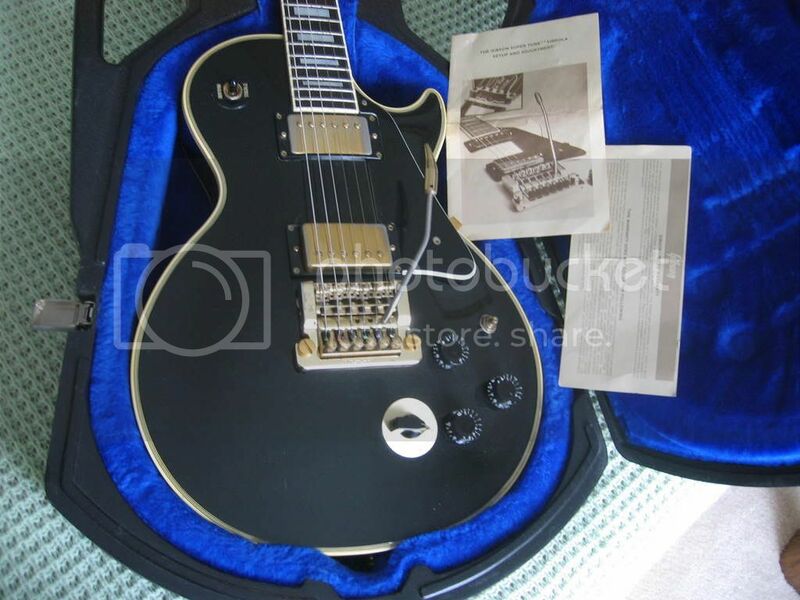 I have only seen one other true Les Paul 12 string and it was a standard. I believe Slash owns it. 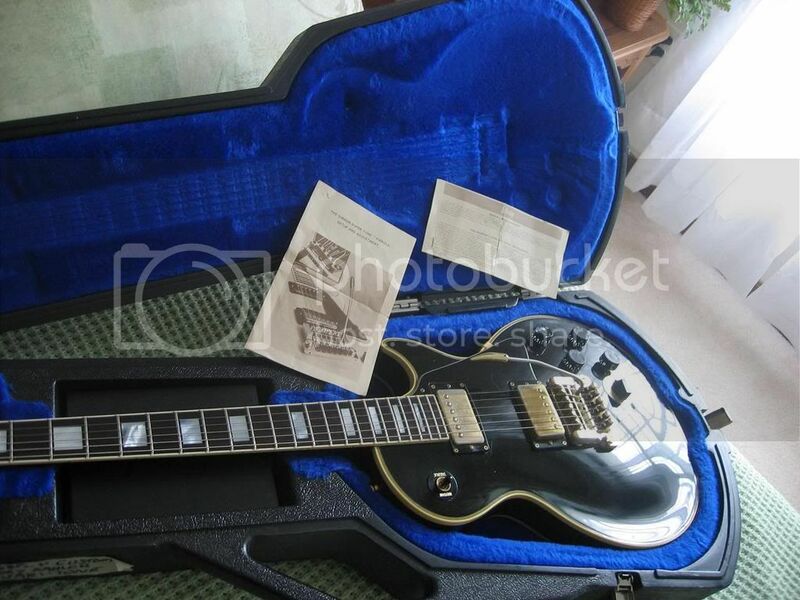 It is rumored but I have no COA that Mike Rutherford of Genisis ordered this guitar in late 1980 and got in 1981. I was able to call Kim Shaheen who first played guitar with the band. 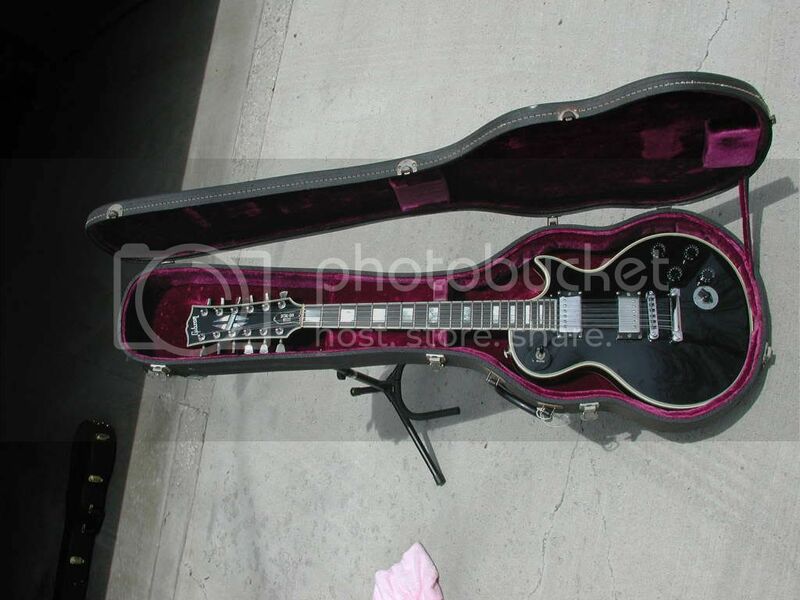 He did tell me that Mike had a Les Paul 12 string but could not verify. He said he did not know where Mike was hanging these days but would ask him if he could find him. 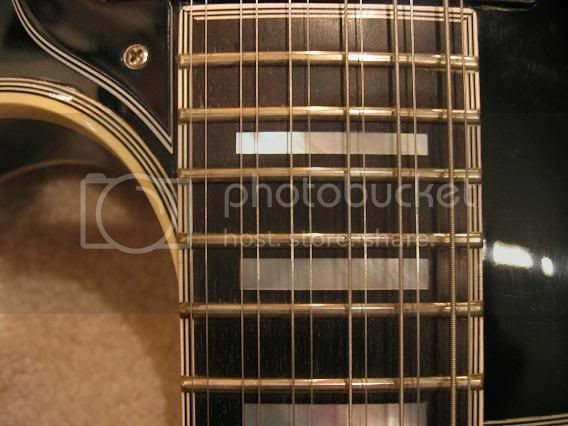 This guitar has 5 ply binding all the way around the fret board (see picture) and Gibson had to install frets after the binding due to the width of the binding. It also has a solid brass nut and is set up finer that a switch watch. 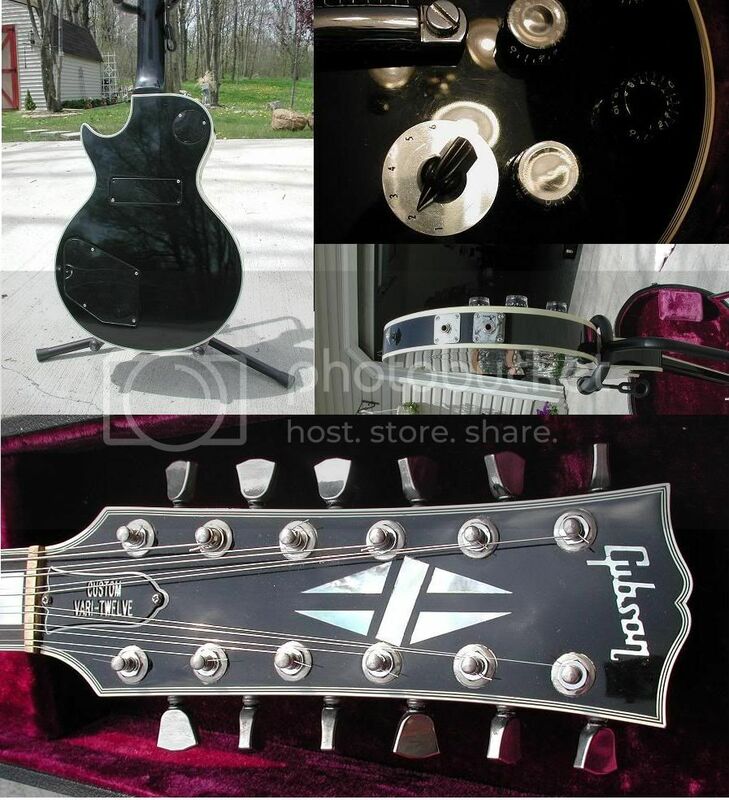 Only problem is it is very headstock heavy and wants to keep dropping into the headstock side when you have it strapped on. 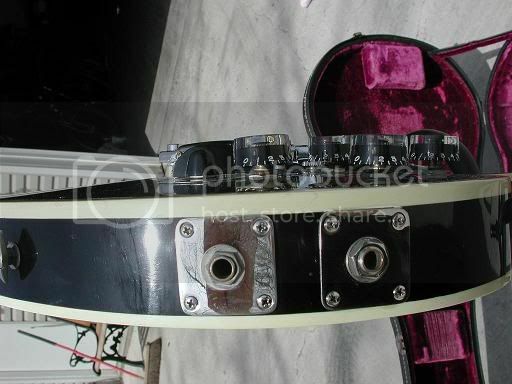 look at that neck binding! I'd love to hear what the 12-string sound like. It can sound like just about anything you have ever heard and things you have not. If you want you can send each pup through a different amp channel (see dual inputs in picture) and then you have the Vari-tone selector on top of that. I was aware of the 6 string model, just never knew there was a 12 string version.